Mammootty was my hero; but not anymore. How come the Malayalam Super star who has been put under police custody come to receive some support in hundred percent literate Kerala? Journalists are doing their job. If you have issues, please watch one of the numerous Mega serials! Anyone who is feeling more for the suspect than the victim is an antisocial. Let me declare my unflinching support for Vinu V John, the Asianet reporter. He has openly said that he feels little respect for the Malayalam Super stars and I see no reason for any respect either. The silence of Mammootty who has been my hero and the great Mohanlal was deafening and pathetic. I thought Mega stars did not lack Spine. Now I know they have none. No wonder that people who are habitual serial watchers, does not yearn to read newspapers and watch TV debates does not think before castigating a senior journalist. Cinema – serial actress Anitha has recently released a video criticising Vinu V John of Asianet in the most despicable language. On the same matter, CM Pinarayi Vijayan deserve no admiration for finally letting police arrest a suspect because I believe he did it only due to the unrelenting pressure to do so. PT Thomas MLA is one politician whom I feel a lot of respect. He first gave courage to the victim to report the matter to the police and later declared openly that he will go to any extend to ensure that the culprits are brought to book and motive found out. Real possibility of the case going to the CBI and ensuing embarrassment must have tied Pinarayi Vijayans hand and forced him and the Behras police into action. I have revelled in the action of Mammootty since childhood. Now I am forced to look elsewhere for a new Malayalam Super star that i can adore. It is definitely not Mohanlal who is still maintaining a criminal silence along with Mammootty on the actress attack. With the leaders of the current CMs type, no wonder Kodi Sunis and Pulsar Sunis rule the roost in Kerala. If this is the condition of a famous Malayalam actress, how my mothers and sisters of Kerala can venture out without fear and with dignity? I depend on variety of news media to learn and understand various subjects, current affairs, and to know developments across the world. 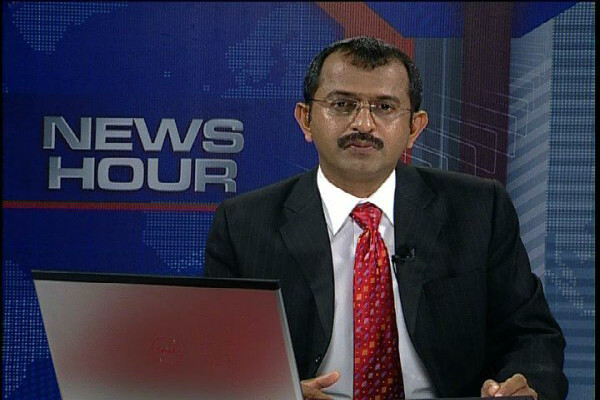 I have immense respect for the vast majority of journalists and in that sense Asianet News hour host Vinu V John. I have been seeing his program for years and his presentation is absolutely impartial. Shoot the messenger; it seems some can only keep doing that.